We've got a new revision of one of our most popular products and some other cool products. Check it out. I know why you're here. You want to see what new stuff we have this week. Thankfully, we have new stuff for you to check out, so let's see the video and then the products. The SIK is one of our most popular products here at SparkFun and we oftentimes forget that not everyone is as familiar with it as we are. Hopefully the video gives better insight into what the kit is and who it's for. 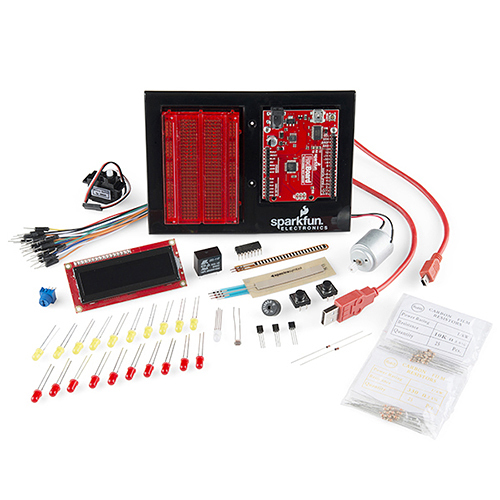 The SparkFun Inventor's Kit is our flagship product. We spent a lot of time redesigning the kit with the help of all the customer suggestions we've had over the years. This new kit now uses the SparkFun RedBoard, includes an LCD, and has a completely redesigned manual. This is truly aimed at the beginner looking to get started in the world of Arduino. With this kit, you can start from "I ain't know nothin' bout Ardweener" and get up to speed quickly. The guide contains 15 total circuits and all the parts you need to learn how the code works and how the hardware interacts. We are also including a brand-new carrying case which gives you a place to store additional parts for your future projects. We had a lot of feedback from the last SIK carrying case. It tended to break easily, the latches were difficult to use (and sometimes broke) and of course you had to open the case to see what was inside. We addressed the durability by using a more flexible plastic which is a lot harder to snap. We also switched over to a new latch that's much easier to use and doesn't break nearly as readily. Now both the top and bottom lid are also clear, so it's easier to see what's inside without opening it up. You can also easily tell top from bottom with the see-through lids. 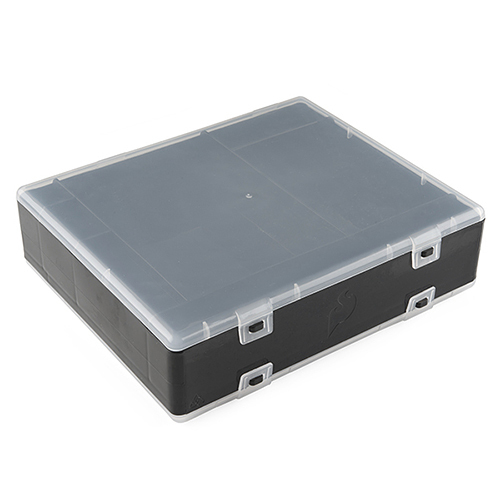 If you have a lot of parts you need to store, check out the new SIK carrying case! The final addition to the SIK V3 was a better motor. The last hobby motor we used didn't have much torque and really wasn't useful for anything beyond a simple demonstration. 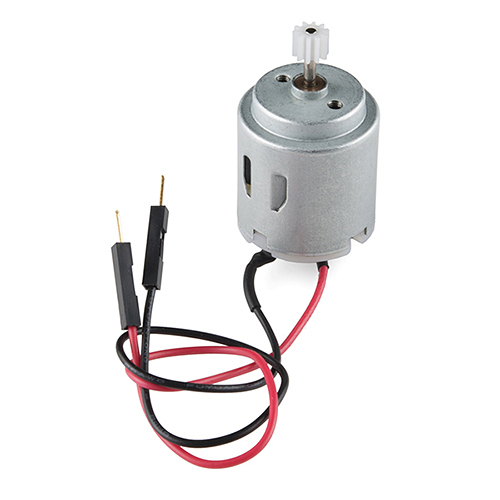 The new hobby motor included with the V3 is a bit more powerful and also included a 10-tooth gear on the output shaft. With a bare shaft, there's not a whole lot you can do - the gear at least gives you the option of mating it with a gear-set. Speaking of customer feedback, we've had a lot of negative comments regarding our current flush cutters. Even though they were intended for beginners (and a low price-point), we realized many of our customers wanted a better tool. 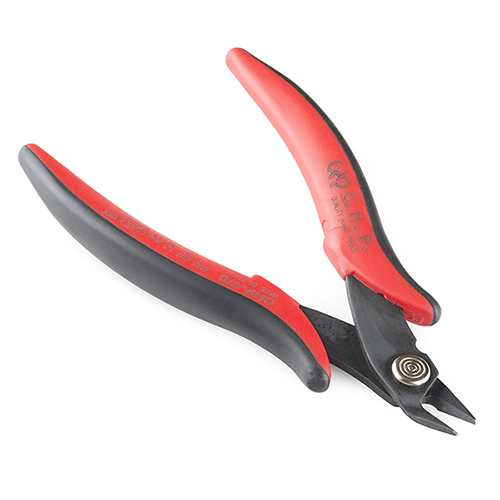 Our new flush cutters are made by Hakko and are certainly a big step up. The grip is nicer, the cutters are better-aligned and more durable. If you're looking for an inexpensive pair of cutters, check out the old ones, but if you want a quality tool, check out the new pair from Hakko. Lastly, we have a new FGPA development board. If you aren't familiar with FPGAs, check out Chris' post last week about them. 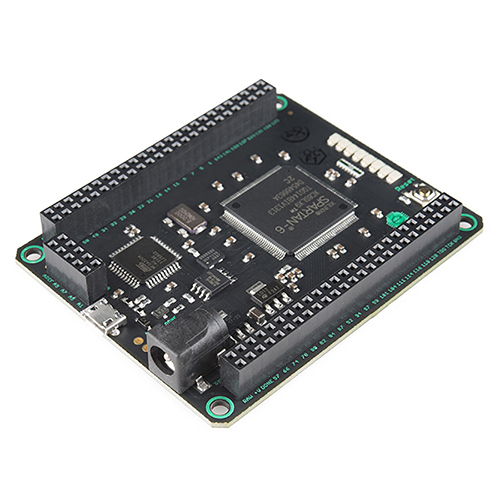 The Mojo v3 uses a Spartan 6 FPGA in addition to an ATmega32U4 (for FPGA configuration, USB communication and analog reads). Check out the product page for a tutorial which should get you familiar with the board. That's all for this week. We had a few more big shipments show up as I'm writing this post, so be sure to check back next week, we have something new for your Raspberry Pi, a unique servo, and a few more cool things. See you then! Now all you need is a Sparkfun Inventors Robot KIt! Basically, a small robot chassis with an arduino and some robot sensors and a really great instruction manual (like the SIK handbook). That would be really cool! we're putting the finishing touches on something very similar to what you describe. The grip is nicer, the cutters are better-aligned and more durable. If youâre looking for an inexpensive pair of cutters, check out the old ones, but if you want a quality tool, check out the new pair from Hakko. The new cutters are still less than the cost of shipping. IMO that makes them "inexpensive" as well (and a nice addition to a future order). that looks like a great kit for learing automation with. it looks like it would be decent to get to try an make one of my RC trucks automated! I made a comment on the Mojo, but I will put it here. The Papilio Pro and Mojo both use the same chip. The issue most will run into porting the code from one to the other is the UCF (User Constraint File) will have different pinout constraints. This means, you will have to change them before you program the chip (or it will just not work). Both Papilio and Mojo should be providing their unique UCF on their respective sites, so BE CAREFUL!